WCW icon Sting wrestled for nearly three decades before finally making his WWE debut in 2014, and though he’s only won two matches in his WWE career, few wrestlers have made such an impact on the sport. Sting will be inducted into the WWE Hall of Fame on the eve of WrestleMania 32, and in a conversation with Fox Sports the six-time World Heavyweight Champion opened up on his scary neck injury at Night of Champions and his road to the Hall of Fame. Sting had a chance to win the WWE title from Seth Rollins last September, but was lucky to walk out of the ring under his own power after suffering a severe neck injury during the match. Sting was powerbombed into the turnbuckle twice by Rollins, and after the second impact struggled to stand – he admitted later he lost feeling in his legs – but somehow managed to finish the match. 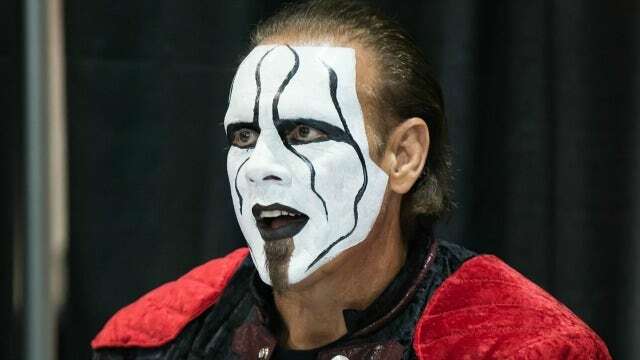 It was initially expected that Sting would need to undergo surgery, but he said he received differing opinions from doctors about what the best course of action would be. He was diagnosed with spinal stenosis – a serious condition that John Cena and Steve Austin were able to recover from, but ended the career of Hall of Famer Edge. Sting, now 57, he says he feels fantastic in 2016, and aside from some soreness after his last pay-per-view, says his life has been entirely normal – and he’s not ready to rule out a return to the ring. "I feel great," Sting says, I’m in the gym, I’m still training as I always was." Since his injury, Sting has kept in touch with Rollins, who suffered a devastating knee injury not long after Night of Champions. Sting suffered a similar injury – at what he estimates was the very same point in his career that Rollins is in now – at WCW’s Clash of the Champions X in 1990. At the end of the show, Sting ran down to the ring to interfere in a six-man steel cage match featuring the Four Horseman, but blew out his knee as he jumped onto the cage while being pulled down by a group of other wrestlers. He would return to beat Ric Flair to win the NWA title five months later. Sting says he’s confident that Rollins will return better than ever. "While you’re going through [rehab], it can seem like an eternity, and like [it’s] impossible – but the truth of the matter is, by the time you look at it – it’s easy for me to say now after 30 years – it’s a little tiny blip on the radar screen. And he’ll come out of it, so I’ve just tried to encourage him like that." Sting also talked to Fox Sports about his upcoming induction ceremony, and what he plans to do after his in-ring career comes to a close. FS: Ric Flair will induct you into the Hall on Saturday, and he’s the perfect man to do it given your history together. How important was Ric Flair to Sting’s career? 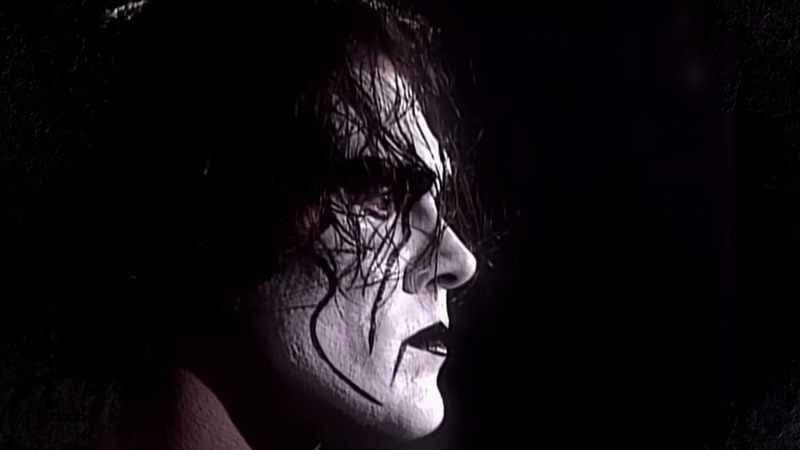 Sting: At the beginning, whether he wanted to or not, he kind of took me under his wing. He saw something in me, enough in me, that he was willing to teach me and show me the ropes. And man, he taught me. I learned more in the first six months in the ring with him than a lot of guys would get in 5-10 years. I’m forever grateful for what he did. I guess he did not have to do it, but he chose to do it. FS: Do you have your Hall of Fame speech written already? Sting: I have an outline in my head of some things I’d like to talk about. Somewhat of an idea, it’s pretty nerve-wracking for me. I’m not a public speaker. FS: What comes after wrestling for Sting? Sting: I’ve always loved real estate, and I’m not talking about being a real estate agent and buying and selling homes or anything like that. I’m talking about dirt. Development, and it could be some residential stuff too. Dirt. Buying and selling dirt… I’ve always wanted to do that. The 2016 WWE Hall of Fame ceremony will start at 8:00 p.m. ET Saturday, April 2nd, on the WWE Network. You can sign up to watch for free here.